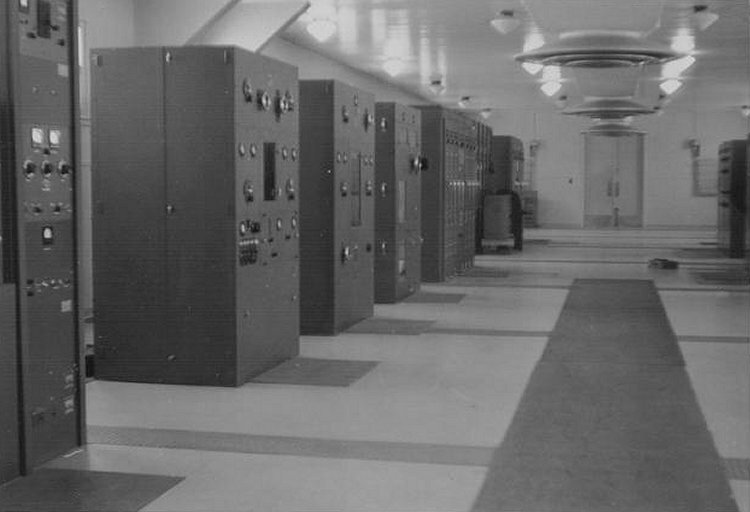 Equipment inside the Transmitter site - April 1957. 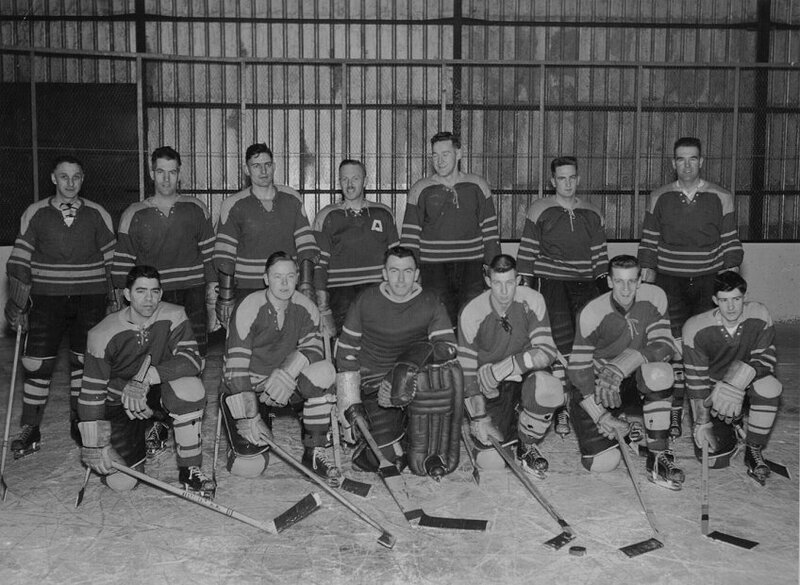 Telecom Hockey Team - February 1957. Back row (L-R) - Unknown, unknown, ? Green, unknown, unknown, Ron McShane, Father ? (Padre). 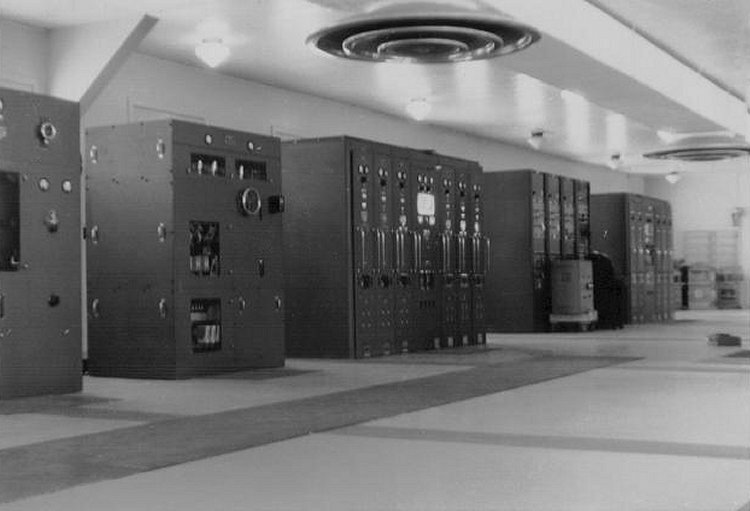 Front row (L-R) - ? Segwin, unknown, unknown, Gord Evans, unknown, unknown. 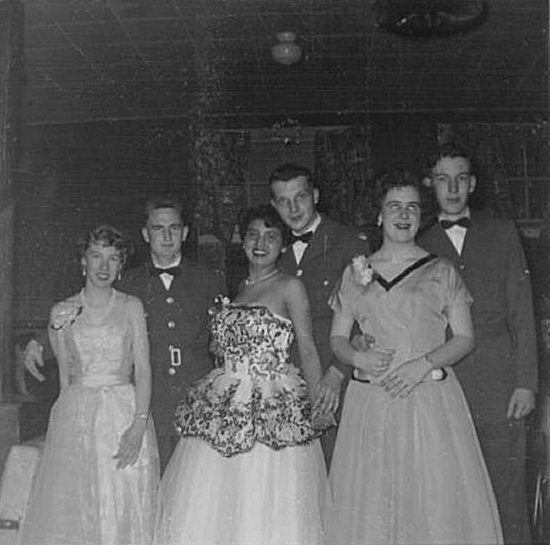 All dressed up for New Year's Eve - 31 December 1956. (L-R) - Unknown, Ron McShane, Winnie Kane, Harvey Bishop, unknown, ? Turner. 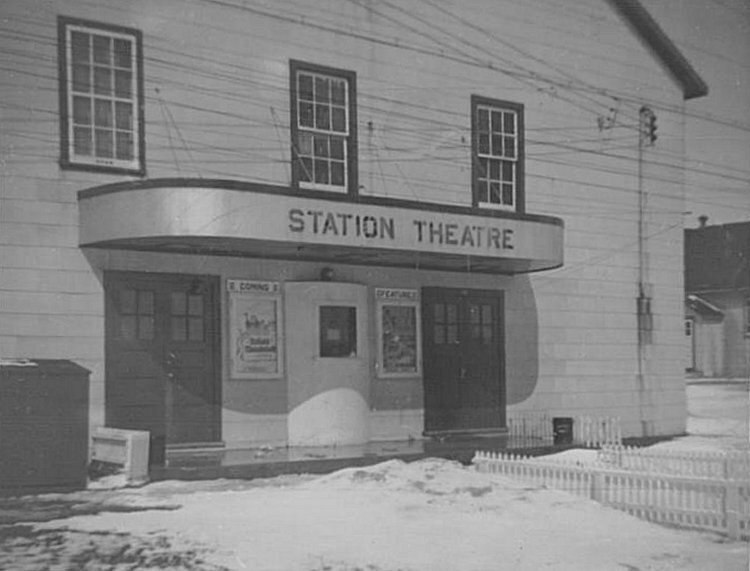 The "Station Theatre" - November 1956. 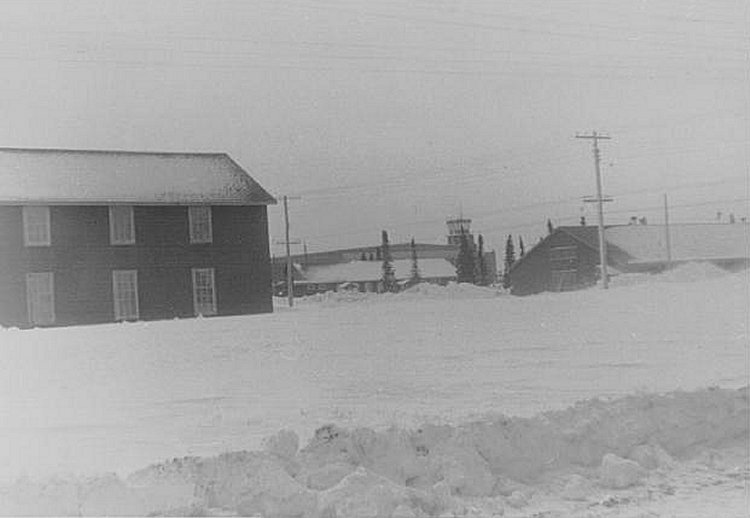 A typical Winter's day in Goose Bay - November 1956. Note the Control Tower in the distance.